CCHR STL Are you Schizophrenic? 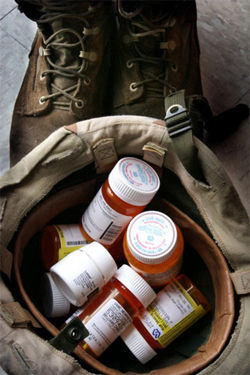 Are you Addicted to Psychiatric Drugs? Are you upset or overwhelmed by this material? Teen Screen: Life Saving Intervention, Or Orwellian Nightmare? After you have reviewed this site, or downloaded and read one or more of the booklets, please contact us and let us know what you think about it. 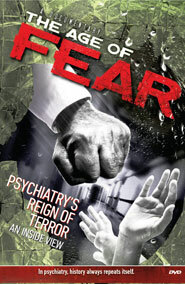 Click here to download and read the CCHR report Schizophrenia—Psychiatry’s For Profit ‘Disease’. Most people consider that psychiatry’s main function is to treat patients with severe, even life–threatening mental conditions. The most pronounced is that condition first called dementia praecox by German psychiatrist Emil Kraepelin in the late 1800’s, and labeled “schizophrenia” by Swiss psychiatrist Eugen Bleuler in 1908. Robert Whitaker, author of Mad in America, says the patients that Kraepelin diagnosed with dementia praecox were actually suffering from a virus, encephalitis lethargica (brain inflammation causing lethargy) which was unknown to doctors at the time. Psychiatry never revisited Kraepelin’s material to see that schizophrenia was simply an undiagnosed and untreated physical problem. “Schizophrenia was a concept too vital to the profession’s claim of medical legitimacy. The physical symptoms of the disease were quietly dropped. What remained, as the foremost distinguishing features, were the mental symptoms: hallucinations, delusions, and bizarre thoughts,” says Whitaker. Psychiatrists remain committed to calling “schizophrenia” a mental disease despite, after a century of research, the complete absence of objective proof that it exists as a physical brain abnormality. Today, psychiatry clings tenaciously to antipsychotics as the treatment for “schizophrenia,” despite their proven risks and studies which show that when patients stop taking these drugs, they improve. These are normal people with medical, disciplinary, educational, or spiritual problems that can and must be resolved without recourse to drugs. Deceiving and drugging is not the practice of medicine. It is criminal. Bear in mind that the drug “treatments” being prescribed are for “disorders” that are not physical illnesses—essentially, they are being prescribed for something that does not exist. Any medical doctor who takes the time to conduct a thorough physical examination of a child or adult exhibiting signs of what a psychiatrist calls Schizophrenia can find undiagnosed, untreated physical conditions. Any person labeled with so-called Schizophrenia needs to receive a thorough physical examination by a competent medical—not psychiatric—doctor to first determine what underlying physical condition is causing the manifestation. Any person falsely diagnosed as mentally disordered which results in treatment that harms them should file a complaint with the police and professional licensing bodies and have this investigated. They should seek legal advice about filing a civil suit against any offending psychiatrist and his or her hospital, associations and teaching institutions seeking compensation. No one denies that people can have difficult problems in their lives, that at times they can be mentally unstable, subject to unreasonable depression, anxiety or panic. Mental health care is therefore both valid and necessary. However, the emphasis must be on workable mental healing methods that improve and strengthen individuals and thereby society by restoring people to personal strength, ability, competence, confidence, stability, responsibility and spiritual well–being. Psychiatric drugs and psychiatric treatments are not workable. For more information, click here to download and read the full CCHR report Schizophrenia—Psychiatry’s For Profit ‘Disease’. For more information, click here to download and read the report Twenty-Nine Medical Causes of Diagnosis of Schizophrenia. For more information, click here to download and read the report The Role of Infections in Mental Illness. Click here to go to Prescription: Suicide?, the website for the film documentary Prescription: Suicide? about the use of antidepressants with children. PSYCHOPOLITICS—the art and science of asserting and maintaining dominion over the thoughts and loyalties of individuals, officers, bureaus, and masses, and the effecting of the conquest of enemy nations through “mental healing”. Think psychiatry has nothing to do with you?